Hatch Homes is the city of Waxhaw, North Carolina’s most highly rated siding replacement contractor. Our company is a Hardie Board Siding specialist that also offers vinyl siding replacement, new window installation and roof replacement. Hatch is the local siding contractor that is recommended to Waxhaw, NC property owners by James Hardie Building Products. The manufacturer of hardieplank siding endorses our company because we have completed all training and certification courses set forth by James Hardie. Hatch has also demonstrated the ability to provide elite fiber cement siding installation at affordable prices to Waxhaw homeowners. To complement our siding service offering, our company is also an Elite Preferred contractor with Mastic vinyl siding. Mastic is owned by Ply Gem, one of the largest building product manufacturers in America. Additionally, Mastic is the single largest manufacturer of vinyl siding in the country. Mastic recommends Hatch Homes to Waxhaw, NC homeowners because we offer quality exterior remodeling and prices that other Waxhaw contractors cannot match. Hatch Homes is also a certified siding professional through the Vinyl Siding Institute, otherwise known as the VSI. 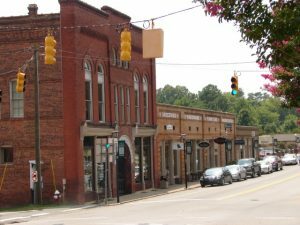 Waxhaw, North Carolina is a beautiful community that resides South of Charlotte. The town is in close proximity to other Charlotte suburbs including Marvin NC, Weddington NC, Wesley Chapel NC, Pineville NC, Matthews NC, Indian Trail NC and Monroe NC. Despite Waxhaw’s small population, the town hosts several attractions that draw interest both locally and beyond. The Fourth of July Parade, The Queen’s Cup Steeplechase Races and the Christmas parades are two such events that draw crowds. It is an excellent community that has seen significant growth over the past two decades. New house siding is one of the most impactful and cost-effective ways to elevate the exterior of any home. Countless homes in the Waxhaw, NC Community are long overdue for an exterior remodel. That being said, finding a qualified and affordable contractor can be a difficult and timely task. Contact Hatch Homes today to learn why Waxhaw homeowners are selecting Hatch Homes more than any other local siding contractor. No matter your exterior remodeling needs, from windows to roofing to siding, our company is prepared to deliver professional contracting services that other exterior remodelers cannot match. Working with Hatch Homes was a pleasure from start to finish. There crews were knowledgeable, courteous and incredibly hard working. This company knows what they are doing! My only wish was that Hatch Homes also did bathrooms as the interior contractor that we hired was nothing close to as good as Hatch Homes! 5 Stars. Our new home looks amazing. At first, we thought we wanted horizontal siding similar to what was already on the home. Hatch Homes’ design expertise allowed my wife and I to create our dream home. Thank you Hatch Homes!